Have you ever been in a ride so extreme that you felt your blood actually rushing to your head? If your answer is yes and that you liked it very much, then you might be addicted to the adrenaline rush. Hey, we can’t blame you – bungy jumping and skydiving sounds really fun. Up for a high jump and soaring in the air? Then try the the Bungy Jump and Minjin Swing in Cairns! With Bungy Jumping, you can expect to be thrown 164 feet in the air, with the help of a harness and a professional’s assistance. 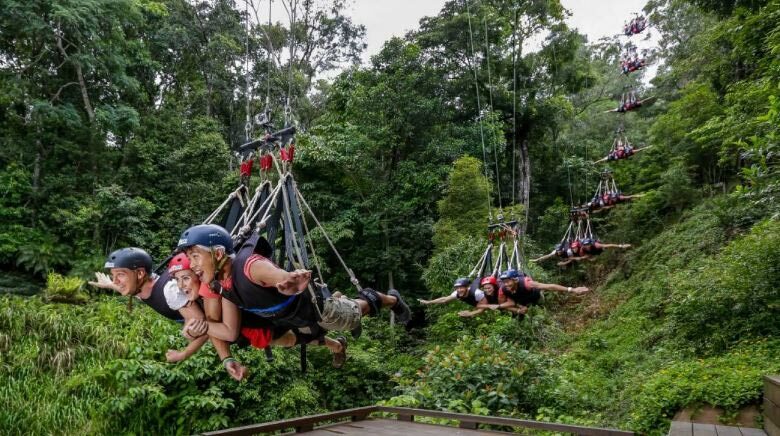 You can also opt to do the Minjin Swing, where you can enjoy a zipline-like ride with friends. It literally is a huge swing, and riding it with friends make it much more exciting. 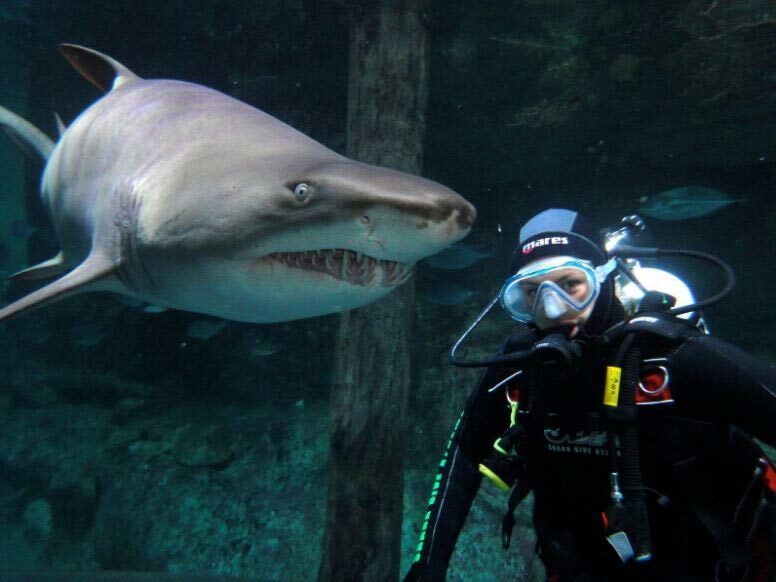 Get the chance to experience swimming with the most misunderstood creature in the sea: sharks! Go scuba diving with an experienced and professional diver, and see the magic under the sea. Swim with large grey nurse sharks, colourful fish, sea turtles, and even stingrays for over 30 minutes! Enjoy half of your day by canyoning through the Dove River in Lost World Canyon. You and your friends can inhale the fresh air and see Tasmania’s breathtaking views while making your way down the river, all the way through to the Lost World Canyon. The tour will last for about four hours, with a professional guide providing interesting information while you go on. You can also get a photo op with your friends and family at the Cradle Mountain. Experience the thrill of jumping from a plane by booking a skydiving trip on Airlie Beach! Whether you are a first-timer or have done it several times, you need not worry as a professional will be with you all throughout the ride. Enjoy amazing views of the beach from up above, while freefalling at over 220 km/hr. This is an experience that you should definitely try at least once in your life. 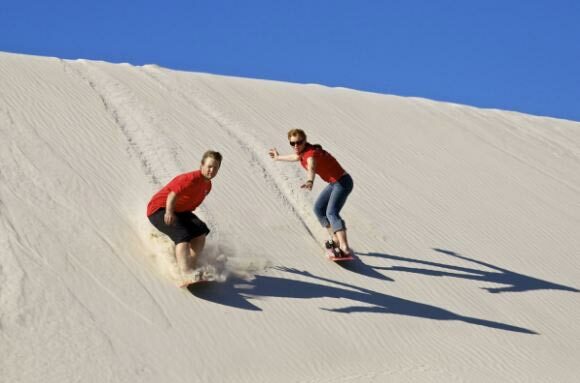 Hop on a sandboard on Kangaroo Island and experience a 2-hour sandboarding ride along the powdery dunes at a private property in the Southern part of the island. If you’re one of the brave ones, then try the dunes that reach up to 230 feet. If you’re a beginner but you’re still dying to try it out, then head on to the smaller dunes perfectly suited for beginners. While you’re up there, go on and enjoy the amazing view of the whole island below. Drive up north of Brisbane for about an hour, and you’ll see Mt. Ngungun, which is an ancient volcanic peak in the Glass House Mountains. 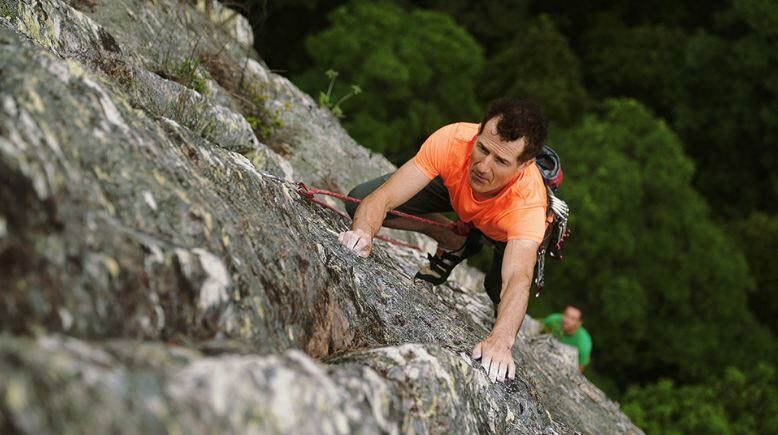 The mountain has a wide range of climbing routes that’s perfectly suitable for beginners, intermediate, and even the experts. 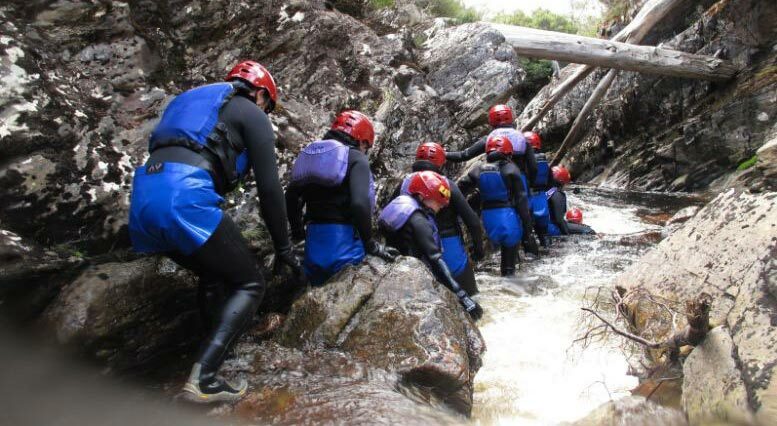 Spend the whole day exploring and climbing the mountain with a supervision of an experienced guide. You only live once, so go on and live it while you can! If after all these adventures you feel hungry, then go on and eat to your heart’s desire! Here is a list of the most amazing places to eat out in Sydney. Enjoy and have tons of fun! Previous Article Use Private Jet Hire To Arrive At The Audi Hamilton Island Race Week In Style!